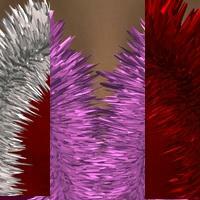 Velvet and Fur shaders for DAZ Studio 2 and 3 not tested in DS4 but should work fine. I hope it is useful. Happy rendering. Elfie (5 years ago) Inappropriate? UltraBorg989, I hope you see this post. Did you render after you applied the shader? Sometimes the effect isn't seen until you render it. I'll check back to see if you have seen this and still need help. UltraBorg989 (5 years ago) Inappropriate? I might not get a reply since this other comments are 2 years old, but I have DS 3 and couldn't get this to work. I select the model and the desired surfaces to apply this to, then select the shader and all that happens is the model's color is changed to the color of the fur, but no actual fur effect is applied. bodenski (7 years ago) Inappropriate?